PennDOT District 6 says Buckeye Partners, LP is scheduled to close Route 412 (Durham Road) from just south of Gessner Road to Buck Drive in Nockamixon Township, Bucks County from 6:00 PM Friday, February 8, to 6:00 AM Monday, February 11 for pipe excavation and repair. 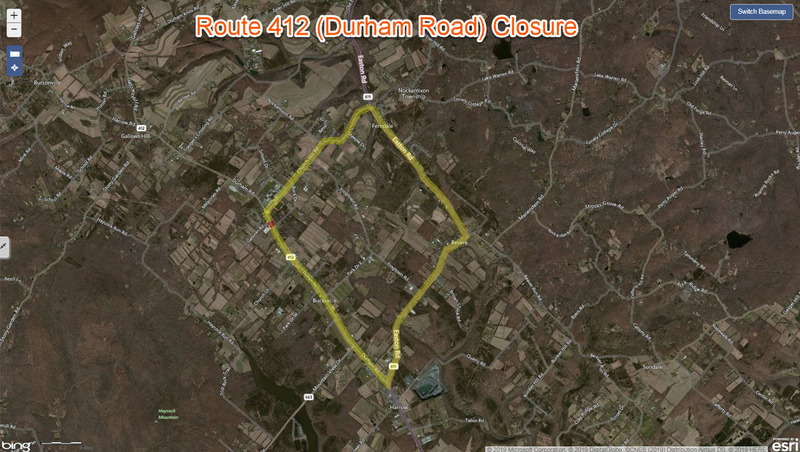 During construction, Route 412 (Durham Road) motorists will be directed to use Route 611 (Easton Road) and Church Hill Road. Local access will be maintained up to the construction zone. Motorists are advised to allow extra time when traveling near the work area because backups and delays will occur. All scheduled activities are weather dependent.